Morton Salt, Inc. is a United States company producing salt for food, water conditioning, industrial, agricultural, and road/highway use. Based in Chicago, IL, the business is North America's leading producer and marketer of salt. 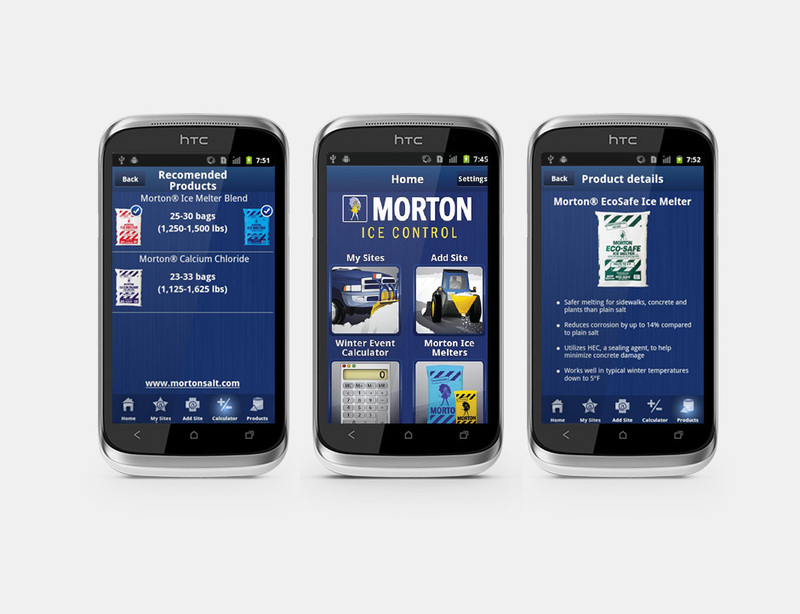 Morton Salt needed a professional mobile app development to increase sales of their ice melting products by allowing snow professionals to choose the best suited product for their needs and conditions. The app had to use research data and select properly the optimal ice melter for some special conditions, environment and surface area. The ultimate goal of the application was to save money and time for snow professionals by recommending them the most effective and fast-working products that suit their environmental conditions just perfectly. Intersog designed and developed the Morton Salt Pro innovative application for iOS and Android that is ideal for all snow professionals. The app takes temperature and surface area conditions as input data and identifies the best suitable ice-melting product for the snow professionals in this area. The app also features a possibility to track and store site info and, what is very important, offers guidance for non-optimal melters. Morton Salt Pro is compatible with iPhone, iPad, iPod touch and Android devices. It’s free and can be downloaded from iTunes and Google Play.